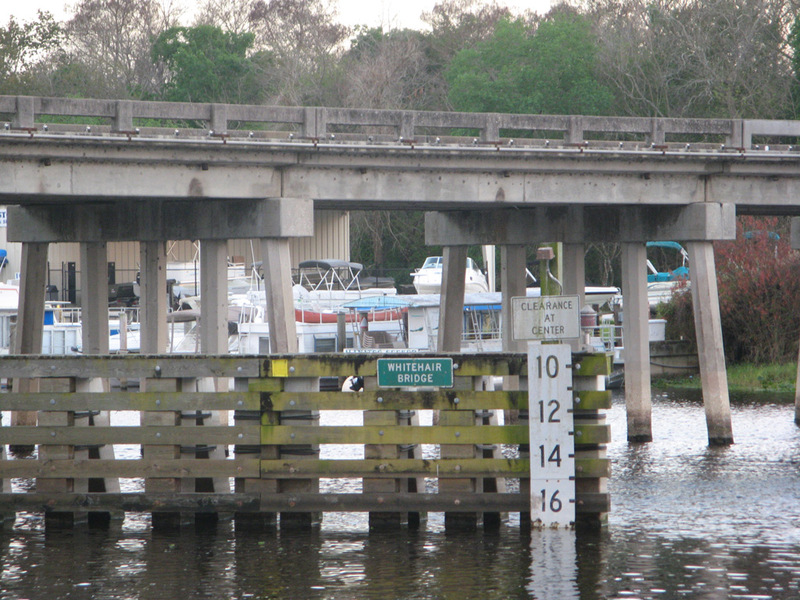 Florida 44 is a cross-peninsular route with two main sections totaling 103 miles east from in Crystal River to the Atlantic Ocean in New Smyrna Beach. The western portion links Citrus County with Wildwood and Leesburg in Sumter County. The eastern segment joins the Eustis and Mt. Dora area with DeLand and New Smyrna Beach. Following Gulf to Lake Highway, the state road travels 16.8 miles east from U.S. 19 & 98 in Crystal River to U.S. 41 in Iverness along a varying five-lane commercial arterial or four-lane divided highway. 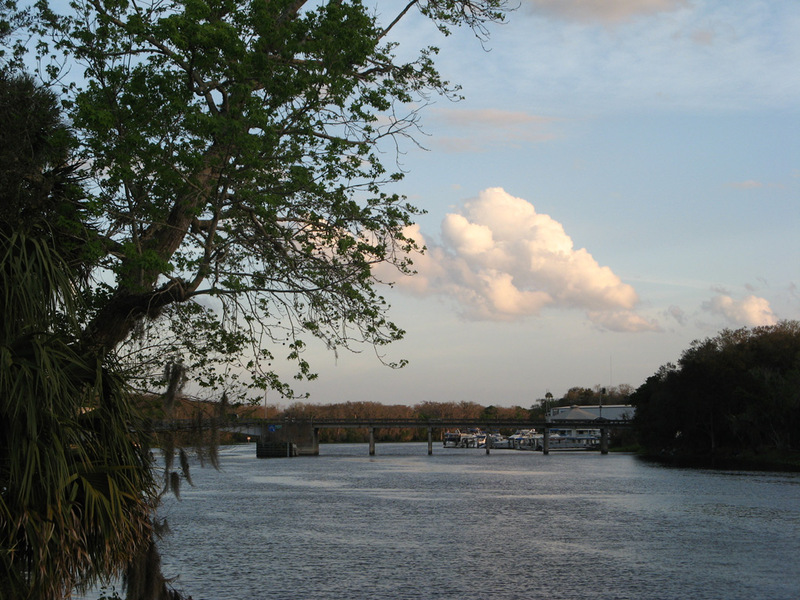 Through Downtown Inverness, Florida 44 overlaps with U.S. 41 for one mile along Main Street. Splitting with U.S. 41, SR 44 continues east along Henderson Lake with four overall lanes to the Withlacoochee River into Sumter County. A commercialized diamond interchange joins SR 44 with I-75, 15 miles east of Inverness and just north of Florida's Turnpike. SR 44 parallels Florida's Turnpike east through Wildwood to Lake Okahumpka and southern areas of The Villages. Entering Lake County, approaches the county seat of Leesburg along Main Street before shifting south along an arterial bypass (South Street) to U.S. 27 (14th Street). Dixie Avenue extends the route 2.2 miles east to U.S. 441 (North Boulevard), where SR 44 ends. Lake County 44 arcs north from U.S. 441 in east Leesburg around the north side of Lake Eustis to Florida 19. The county road stems 3.2 miles east from SR 19 in Downtown Eustis along Orange Avenue. State Road 44 overtook CR 44B north from U.S. 441 at Mt. Dora between Loch Leven and Lake Joanna to connect with the resumption of SR 44 east from Orange Avenue. A $25.7 million project will four-lane the north-south 2.092 mile segment of SR 44 from U.S. 441 to Orange Avenue. Leading away from Eustis and Mount Dora, Florida 44 bee lines 6.1 miles east from Orange Avenue to County Road 46A. CR 46A links the state road with SR 46 and Wekiva Parkway (SR 429) east to Sanford while SR 44 turns northeast along a rural course 14.7 miles to the St. Johns River. 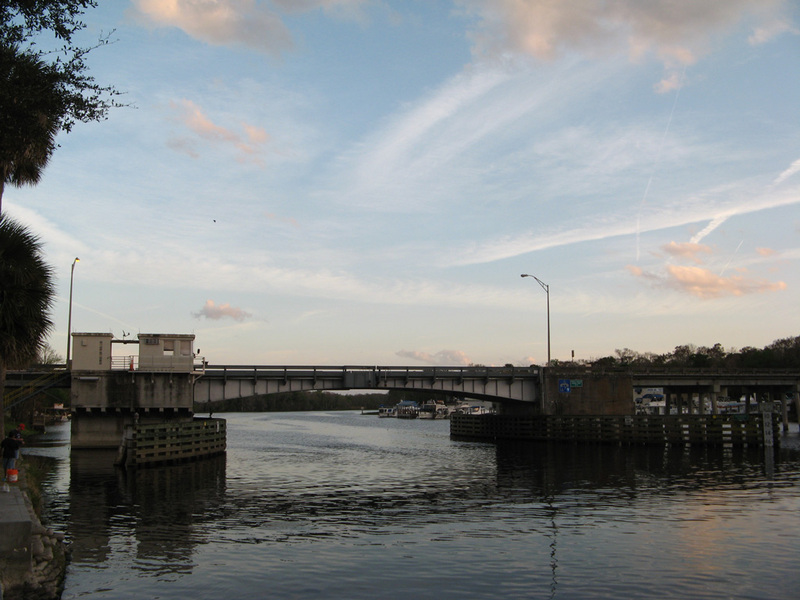 SR 44 crosses the St. Johns River on the Whitehair Bridge, a double leaf bascule span built in 1955. Photos taken February 17, 2008. Construction starting in 2020 will replace the Whitehair Bridge with a new fixed high level span, and rebuild the two-lane bridge approaches south of the current alignment. Additional work includes access changes to Ed Stone Park, Old New York Avenue and Pier 44 Marina. Letting for the $27.2 million project is scheduled for May 20, 2020. A short distance into Volusia County, SR 44 enters the county seat of DeLand, taking New York Avenue to Downtown. New York Avenue leads the route east by Lake Winnemissett to a mid-2000s realignment to Interstate 4. Eastward from there, SR 44 is a four-lane divided highway to I-95 and New Smyrna Beach. Amelia Avenue (unsigned CR 4103) southbound at Florida 44 (East New York Avenue) outside Downtown DeLand. Photo taken 03/21/08.